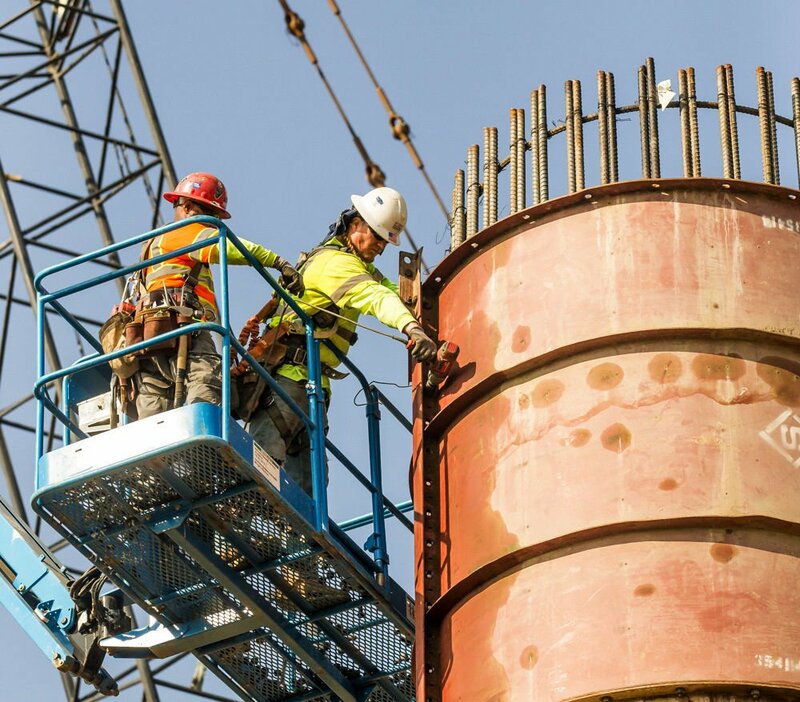 Joseph Burden, right, takes off bolts on the mold around the new piling during construction of the Centennial Corridor connection in this December file photo. 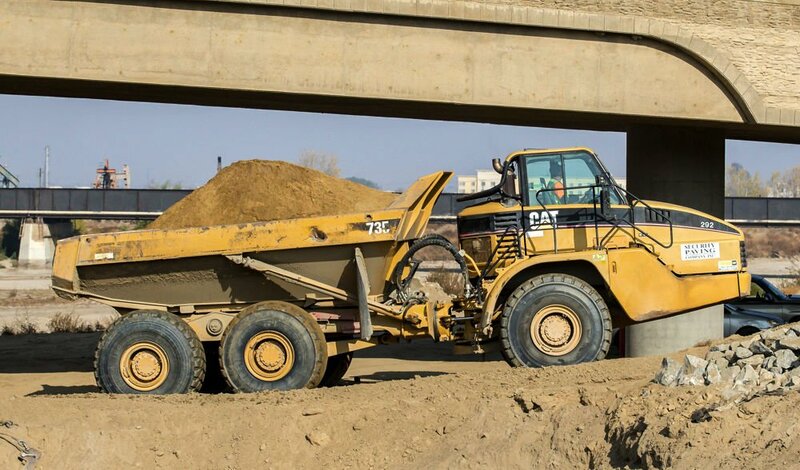 A large dumptruck hauls dirt during construction of the Centennial Corridor connection in this December file photo. The City of Bakersfield has received the last chunk of money it needed to fully fund its Centennial Corridor project. Rep. Kevin McCarthy, R-Bakersfield, announced Wednesday that the U.S. Department of Transportation will award the city $50 million as part of its Infrastructure For Rebuilding America program to complete the project, which connects the Highway 58/99 interchange to the Westside Parkway. The funding comes after the city earned several other grants to help pay for the project. In March, the California Transportation Commission voted to allocate $31 million in State Highway Operation and Protection Program funds for the Belle Terrace project, part of preparatory work for the Centennial Corridor, and $63 million in State Transportation Improvement Program funds for construction of the corridor itself. Most recently, Bakersfield received a $25 million grant from the California Transportation Transmission for the Centennial Corridor project. With all four grants, the city has received a total of $169 million. Tandy thanked his staff for their efforts in securing the funding as well as those of McCarthy. The entire project will cost about $270 million. Besides the state and federal grants, the rest of the funding came primarily from the Thomas Roads Improvement Program. Tandy said that with the funding in place, he expects bids to go out in January for the main Centennial Corridor project. Congratulations to McCarthy for securing the final grant of funding to make the connection of SR 58 at Real Rd. to the West Side Parkway thereby completing the connection by a direct route of SR 58 to I 5 but there's more to think about. Let's consider the level of through traffic, many big freight trucks, on SR 58 and with it soon routed onto the parkway that will then be designated as SR 58. Note the freeway part ends at a connection at Stockdale Hwy just east of Heath Rd. With that, all that traffic will be then funneled onto an already heavily traveled 2 lane road. One time driving near the 55 MPH speed limit on Stockdale Hwy. I had to slam on the brakes because a school bus stopped and, as required and needed, flipped out the stop sign so one little girl could come flouncing out of the bus to walk to her nearby house facing the north side of the road. In that area the south side is undeveloped. Now don't misinterpret my concern about that school bus. It's about a busy highway with private homes facing it and the disruption to an increased traffic load and contributing factors to make a difficult drive even more difficult. Future Caltrans plans do show a continued freeway crossing Stockdale Hwy. for a direct path to I 5. Unfortunately there is no timetable I'm aware of for funding and development of that connection. Happily route acquisition for that connection won't be nearly as tough or destructive as the right of way acquisition was for the Centennial connection.